I don’t know if Susie had a real family. Sure she lived in an imposing red brick Victorian house in the suburbs, with thirty yards of driveway leading in a straight line to the steps before the huge door, but I never heard of a mother or a father, nor did I hear mention of aunts, uncles or cousins, brothers or sisters. Most of the residents were mentally or physically handicapped children, including Susie. But Susie was different. A very pretty little girl about nine or ten years old, she always had a bright smile permanently fixed on her face, under a wild mop of mousy brown, shoulder length hair. Though she never spoke, there was a certain aura of happiness that seemed to warm the air around her. She didn’t so much walk as bounce across the ground with fairy light steps. She was never any trouble. Far from it, and Susie had a routine bordering on the ritualistic.Every morning as I stopped my Ford Mariner bus outside the gates around eight thirty to pick up the kids and take them to their day center, Susie would be the last one up the steps of the bus. Once on the bus she would dive across the engine cover, throw her arms round me, give me a big hug and a kiss, then take her place on a front row passenger seat. 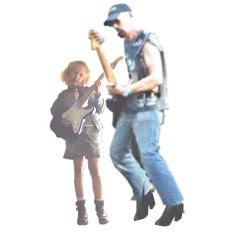 The other funny thing about little Susie was her choice of apparel. What ever the season, what ever the weather she always wore a blue serge overcoat. Rain or shine, hail or snow. Always the same blue coat Always the same happy smile. For eighteen months I did that contract with never a bother. Yes there were the heart aches and breaks when periodically a kid would pass away.Apart from those occasions I loved to do that contract. I had a fantastic courier to watch the kids while I watched the road, and gave them the best ride I could. I was twenty-four, had my own house and a beautiful wife, and as we had no kids of our own I guess Susie was a kind of surrogate kid to me. We had a bond that was sweet. But as can happen now and then, things can and do go wrong. My courier retired and I was given a new, younger model with no experience, and even less of a clue. Hell was about to happen, and the Devil had invited hisself to the party. On the new courier’s first day I pulled up at the big house, and out came the kids. There was maybe twelve or so of them, and as normal Susie was the last but she only made it half way across the engine cover before the new courier grabbed her and almost slammed her in the front seat. War was about to break out. Weapons of choice? Teeth, fingernails, and feet wrapped in heavy leather shoes. Susie turned into a wild, cat like animal. Screaming, biting, scratching, and kicking the nearest thing, which happened to be a -- by now-- hysterical courier. Stepping out from behind the wheel I grabbed the biting, scratching, screaming bundle, and stepped down off the bus. Sustaining quite a bit of damage to various parts of my anatomy along the way, I carried Susie back inside the big house and put her, still screaming, and trying to lay waste to anything in reach, into the care of one of the social workers. I then returned to my bus. Once settled back in the drivers seat, I turned to the courier and, while giving her the kind of look that could have melted Iceland, I said three words to the poor girl. Seconds later the blue overcoat with Susie wrapped in it, bounced down the drive, up onto the bus, dived across the engine cover, and I got the big hug and kiss I should have had a few minutes before. Huggy, huggy, kissy, kissy over, my little friend took her place in her usual seat as if nothing had happened. The courier said nothing, which as far as I was concerned was the best move she’d made since we met. She did however apologise at the end of the day, and over a beer in the nearest pub I explained to her a little about each of the kids we carried. I even prepared her for the times we would shed tears for the ones who wouldn’t be with us any more. For the next six months, until I left that job, everything ran like clockwork. The new courier settled in well and learned quickly that I knew more about these kids than she ever would. 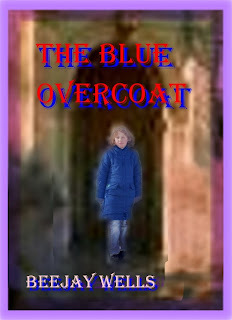 I sometimes wonder, some thirty five years or so later, whether Susie ever made it through to her teen years, or even beyond, and whether, if she made it to womanhood, did she step up a size or two of blue overcoat. Sometimes, as I sit in a moment of quiet contemplation, I like to think that Susie, me, and a blue overcoat were a family. Sort of. I enjoyed the story, Beejay. Is it published? Add me to your list of followers, at any rate. My favorite turn of line? ...that warmed the air around her. Sheer poetry, perfectly stated. Thanks for the comment Richard. No I've had nothing published yet. Not for want of trying though. Super mooi verhaal! Echt genieten!